To honor his wife, Curtis J. Milhaupt established the Terry Satsuki Milhaupt Fund for Textile Studies. Terry Satsuki Milhaupt was an independent textiles scholar who passed away in 2012. The endowment supports all aspects of the museum’s textile program, including exhibitions and related events, as well as the maintenance, care and research of the textile collection. 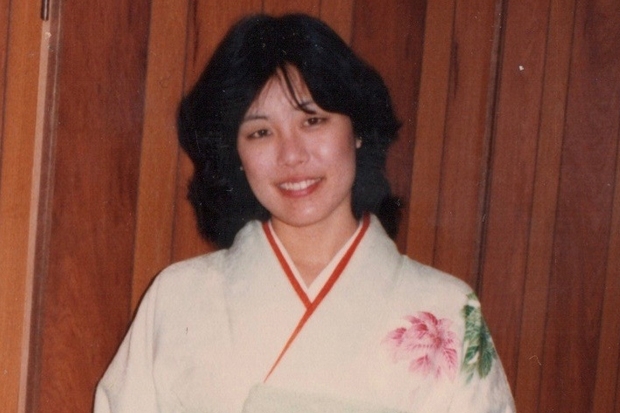 Terry Satsuki Milhaupt (née Unemori) made important contributions to the field of Japanese textiles, researching their social context, cultural significance, and influence on Western thinking about Japan. A graduate of Kailua High School and the University of Hawai‘i, she was awarded a Crown Prince Akihito Scholarship to study at Sophia University in Tokyo. Milhaupt went on to earn an MA in East Asian Cultural Studies from Columbia University and a PhD in Art History from Washington University in St. Louis. A frequent visitor to the Honolulu Museum of Art on her trips home to visit family, Milhaupt explored the museum’s textile collection with Oka. One of the fragments of the tsujigahana kimono Terry researched for her PhD dissertation, Flowers at the Crossroads: The Four-Hundred Year Life of a Japanese Textile, is in the HoMA collection. Milhaupt’s book Kimono: A Modern History, published posthumously in 2014 with the help of her husband, a professor at Columbia Law School, was a New York Times best holiday book of 2014 and inspired the Metropolitan Museum of Art’s major exhibition of the same name. With her trademark smile, warmth and optimism, Milhaupt embodied the aloha spirit. A treasured member of her family, she was a super-mom to her son, Conrad, a close sister of Joyce and Karen, and a dear friend to many. The Honolulu Museum of Art is proud to be home to the Terry Satsuki Milhaupt Fund for Textile Studies, one of more than 60 endowments that support different areas of the museum. If you would like to support this endowment or the museum’s Textiles Department in any amount, checks may be made out to the Honolulu Museum of Art and sent to Donor Services, 900 Beretania St., Honolulu, HI 96814. Thank you for writing this blog. It’s always nice to read about my Aunty Terry. She was really great. You’re welcome. You are lucky to have such a wonderful aunt!